White or clean t-shirts, pants, skirts, and more types of clothing are prone to dust during transportation or sale. However, the newly-sold clothes cannot be washed, and once clothes such as shirts are contaminated, normal sales cannot be performed. This is especially true for online sales. For unpacked shirts, it is very easy to be contaminated during transportation and cause customer complaints. 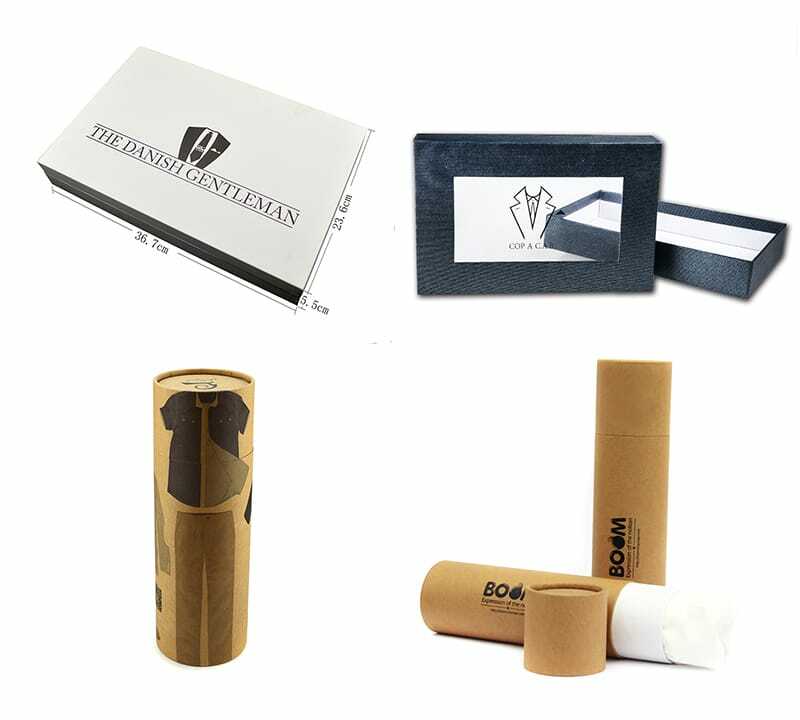 Shirt packaging can be protective the t-shirt, helping the shirt to maintain maximum value at all times. The value of shirt packaging is not only a protective effect, but also a brand promotion. When designing the packaging, incorporate your company’s brand name, logo, and features into the packaging design to demonstrate the value of the brand. Especially for online shopping, when consumers receive a shirt, the first thing they see is the shirt packaging, which will be the first impression you leave to consumers. Therefore, we need to spend more energy on packaging design. Male or female shirts, the style of the product is different, the consumer’s psychological needs are different, then the packaging style is different. How many shirt packaging styles are common? 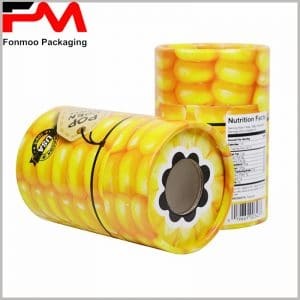 Common are square cardboard boxes and t-shirt tube packaging. Rectangular shirt box packaging usually takes up a lot of space. But I would recommend you to use the form of paper tube. Embedding the clothes into the paper tube saves space and the cost of transporting and storing the shirts is low. And paper tube boxes are easier to carry. No matter which shape of the shirt box packaging, you can use different materials, printing process, so that the characteristics of the product are reflected in the packaging. You’ll find that well-designed packaging can take on a variety of forms and appeal to consumers. Many people think that there is no need to customize the shirt packaging, you can use the existing transparent plastic bags. Yes, buying an existing transparent plastic bag to pack shirts can save product costs, but can it enhance the brand’s competitiveness? Unpacked shirts are considered low-end, ubiquitous, and easily forgotten, making it difficult to make a second purchase. We are all very clear that consumers who buy goods will choose an approved brand to buy and are willing to pay more for a trustworthy brand. Without a customized package, many potential customers will be lost. And, the custom packaging purchased from Chinese manufacturers, the cost of each package will not exceed 1 US dollar, but can create more value for you, it is worth investing. You can even add more add-ons inside the t-shirt package, such as blessing cards, stickers, buttons, cards, and more. Some cheap and small things can bring great satisfaction to consumers. The internal thank-you card or handwritten card allows consumers to feel more valued and let your products and brands go further. At no time should we ignore the role of packaging in products and brands. In the long run, it is necessary to consider custom packaging. Customized shirt packaging can help build an effective brand image and differentiate your products and brands in a highly competitive market.